but with at least a thru deck sky view for its internal GPS receiver and SPOT messenger transmitter. Power is long life battery, and communication with the fobs is some sort of wireless, supposedly good for 100 feet or so. All the hardware above is prototype and tentative, but the strategy is clear (press release here). A boater gets all the known safety, “hi honey, I’m here” messaging, and tracking functionality of SPOT with just the little fobs…no more duct taping a regular SPOT to your binnacle like Russ (who just got back in the water, Tahiti bound). Plus, when you walk or row the fob away from the boat, HUG becomes an asset protection system, notifying you (the boat owner) and a monitoring center of the “unauthorized movement.” All this for “less than $500” in hardware, and “about $150” for annual service. Oh, and there’s a blank sensor port on the box, which will probably go unused when HUG ships next Spring, but SPOT is contemplating bilge alarms, etc. for a future model. I also liked what I saw of the second generation hand-held SPOT. It’s much smaller (though it now has a shorter battery life and doesn’t float), and the controls and LEDs look much easier to understand and use. It also has new “custom message” button, which actually makes three as you can already custom program what messages the OK and Help (now Touching Hands) buttons send out, and to whom. Incidentally, the Help/Hands button can now be associated with your BoatUS towing account, as announced last Spring. 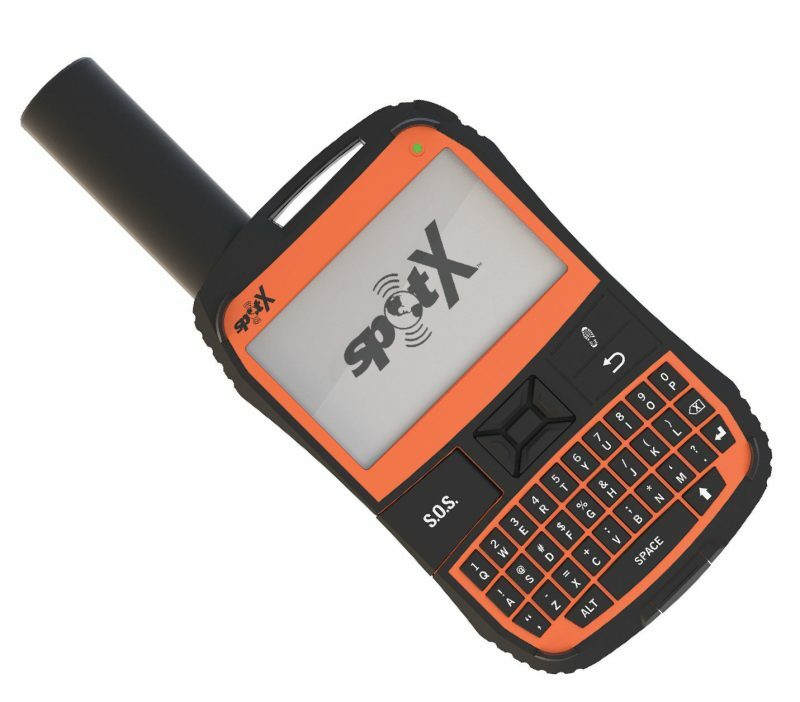 This is all one-way messaging, a weakness discussed recently, but still it’s neat that this inexpensive hand-held, or the HUG fob, can message family and friends two ways, or BoatUS, or the GEOS Alliance rescue center (aka the Brits in a bunker). Spot 2 is also supposed to be more waterproof than the original, though Doug Ritter has already smoked a pre-production model. Doug’s first look is thorough as usual, but I hope to try Spot 2 too. Hmmm . . . the “black box” doesn’t seem to do much for those of us with metal boats. I think it may be a nice toy for those with a few hundred extra bucks lying around. Definitely not a replacement for an EPIRB. I’m pretty sure the box is waterproof, Michael, so it could go on a cabin top or in a deck box. I totally agree that it’s not the same level of distress device as an EPIRB, but it does a lot of things an EPIRB doesn’t. Also there’s a case to be made that in some locales with poor governmental SAR resources you might get more help via GEOS than via COSPAS SARSAT. Are you cruising away from winter again this year? Between this device (SPOT in general) and the Iridium messenger previously mentioned, it would seem that these manufacturers would be wise to link to a user definable semaphore/code book, as was used by military vessels in the Age of Sail. I had great success carrying a SPOT on an offshore delivery this spring, but would have enjoyed (on a limited budget) something more than the 2 canned messages (ok/help). I easily could have made do with 30 or 40 different messages. It would have been handy, and still stayed within budget.